Everything seems fine as long as the contractor performs perfectly. Not even the congressmen and senators who personally benefit from the services will complain. One mistake or incident, however, has people, especially lawmakers, looking for someone to blame. In a contentious issue like a war, the matter can quickly become politicized. And those who benefit from the services of private providers, not those who make the laws and issue the contracts, will suffer. The private security contractor (PSC) industry is getting caught up in a politicized debate about the war in Iraq, and that colors how many lawmakers view private security providers. However, even strong critics of the war and of PSCs appear to be more open to recognizing the fact that the sector is here to stay. The real conundrum, congressional critics admit, is accountability: How can the public ensure that private armed forces will remain under the control of the rule of law? There’s no argument about the need for accountability in the industry; in fact, PSC providers have long supported clearly written rules and regulations to establish chains of authority and accountability. The October 18 shooting of a crowded taxi in Iraqi Kurdistan was the third incident in four weeks involving private contractors for the United States who allegedly shot Iraqi civilians. Guards with Erinys International, a British PSC protecting public works projects for the U.S. Army Corps of Engineers, apparently mistook the cab for a suicide bomber and wounded three of the passengers. Days before, guards for Unity Resource Group, an Australian-managed firm based in the United Arab Emirates (UAE), shot dead two Iraqi women under similar circumstances. The most fatal and publicized shooting occurred in western Baghdad on September 16, when a reported 17 civilians died. A Blackwater diplomatic security convoy was apparently shot at and the guards returned fire under hotly disputed circumstances. The Blackwater incident, which took place at Nisoor Square, was under federal investigation at the time Serviamwent to press. Industry response was mixed. Most PSCs were publicly silent at first, although some, chiefly British companies, trashed Blackwater in press interviews leaving the impression that they hoped to pick up the firm’s large contract for themselves. Attacking fellow PSCs before the facts of an incident can be established creates bitter divisions within a sector of healthy competitors that will increasingly find themselves having to work with one another on tough assignments. It cheapens the credibility of quality PSCs when the industry is attacking itself in what many see as a transparent attempt to steal business from a fellow provider. It reflects poorly on the industry when representatives make allegations (in this case, echoing the notoriously disreputable Ministry of Interior [MOI]) about a fatal PSC incident that is under official investigation. It feeds those who are philosophically opposed to the PSC industry; if a quality company like Blackwater is isolated and allowed to be stripped of its business because of politics, then no company is safe. Non-U.S. PSCs risk cutting their own throats if they think they can knock American firms out of business. The U.S. government as the largest consumer of PSC services, will be hard-pressed to justify sending too many tax dollars to foreign companies when Americans can do the job. Too much outsourcing to foreign PSCs means even less accountability from a U.S. standpoint. The PSC industry is still trying to define itself and develop internal guidelines and controls. An industry trade association whose membership has included all the previously-named PSCs, however, effectively explained Blackwater’s job in Iraq while the company itself had to abide by a State Department gag order to limit its exposure to the public. That group, the International Peace Operations Association (IPOA), represented the industry’s own self-regulation well before the Iraq war began. Before the U.S. Congress seriously acted directly to regulate modern PSCs, businesses on both sides of the Atlantic banded together to set up their own professional associations to advocate for their industry and regulate themselves. Among other things, the associations establish standards of conduct and other procedures that improve transparency and professionalism. IPOA, founded in Washington in 2001, was the first association of its kind. “While IPOA acts as a trade association, it was not founded by members of the industry, but rather by individuals with backgrounds in the non-governmental, academic, and business sectors who recognized the benefits brought by the private sector to the victims of conflict,” according to the association mission statement. IPOA now has about 40 member organizations, including PSCs such as DynCorp and MPRI of the United States; ArmorGroup International and Erinys of the United Kingdom; Internal Armored Group of the UAE; and Unity Resource Group, an Australian company based in Dubai. In the U.K., more than 20 professional firms created their own trade group, the British Association of Private Security Companies, in 2006. Smaller firms, many of lesser quality, have been disappearing from the scene, leaving the larger and more fit companies that tend toward better quality personnel and services. The Private Security Company Association of Iraq (PSCAI), a Baghdad-based industry trade group with about 40 Iraqi and foreign PSC members, is American-led but works closely with Iraqi authorities and Iraqi security companies. “The PSCAI seeks to work closely with the Iraqi government and foster a relationship of trust and understanding,” the group says. Among its activities, PSCAI is working with Iraq’s MOI to establish rules, regulations, and guidelines for PSC operations in Iraq, the registration of PSCs in the country, and licensing of weapons and vehicles. Some security companies quietly criticize PSCAI for being inappropriately cozy with the MOI. A private commission of retired American generals and police chiefs led by Gen. James Jones USMC (Ret.) recently cited the MOI for corruption, sectarianism, and death squad activity and recommended that it be abolished. Additionally, PSCAI lacks the strict membership standards of IPOA, and includes many Iraqi and other firms of dubious quality. IPOA has a code of conduct and a set of standards by which its members must be accountable. The group encourages complaints against its members and maintains a Web-based feature that makes it easy to report alleged violations of the code. “The IPOA Enforcement Mechanism allows any person or organization to lodge a complaint,” the group says. Voluntary Principles on Security and Human Rights (2000). IPOA’s unusually open enforcement mechanism might make sense from an academic standpoint, but it broke down when put into practice. Blackwater competitors filed a complaint to initiate a review of whether or not the company had violated the code. 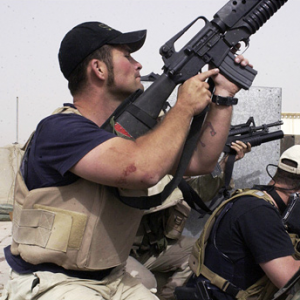 Sources close to the issue tell Serviam that Blackwater felt some of its competitors in IPOA lodged the complaint to take advantage of the company’s situation, and they did so at a time when the firm was under a State Department gag order to say almost nothing about its diplomatic security operations in Iraq. Blackwater is said to have been concerned that certain competitors would leak details of an ongoing IPOA investigation to the press to discredit the company, isolating it within the PSC sector, with the goal of picking up its nine-figure annual Iraq contract. Abuse of the ethics process is not what Blackwater had intended, and the company announced its withdrawal from IPOA for one year. Blackwater spokesperson Anne Tyrrell would not comment for this story. Industry sources say that, as a trade association, IPOA should have waited for the U.S. government to issue its findings about the Nisoor incident, given the potential for criminal charges, before initiating its own review. Blackwater’s withdrawal, according to IPOA President Doug Brooks, terminated the group’s investigative authority, as it cannot take action against companies that are not current members. Presently the industry seems unprepared to take a more vocal lead in self-regulation, though IPOA remains busy in Congress and prominent in the press. The tragic events of autumn 2007 certainly have led to a re-thinking of how PSCs operate in the country and how their unique duties must be integrated with all diplomatic and political operations to defeat the Iraq insurgency and al Qaeda, rather than isolated as a diplomatic security function that arguably undermines the overall counterinsurgency. That solution was the problem: Congress neglected to include contractors who worked for other U.S. agencies apart from the Department of Defense. State Department contractors like DynCorp, Blackwater, and Triple Canopy are not liable under MEJA, despite a 2004 amendment. This hole in the law is what drives critics batty. The problem with the congressional oversight process now is that lawmakers are taking out their anger and fears against the private security providers instead of taking a hard look at their own failure to fix the flawed laws. Critics, including Rep. Henry Waxman (D-Calif.), chairman of the House Committee on Oversight and Government Affairs, contend angrily that PSCs contracting with the U.S. government are unaccountable. Singling out Blackwater, Waxman called a hearing on October 2, summoning the company’s owner, Erik Prince, as a witness. Prince repeatedly explained to the lawmakers that his firm and other private security providers operated fully in accord with existing law. Prince even had to explain how the law worked to the lawmakers in the hearing room. PSCs working for the U.S. government in war zones, and particularly Blackwater guards operating under the State Department diplomatic security program, are already tightly regulated, Prince said. Restrictions and controls include the International Trade in Arms Regulations (ITAR), under which Blackwater and others must receive government approval of the shipment abroad of practically all their goods, from office paper to helicopters. Blackwater and other PSCs are accountable under the MEJA and a congressionally approved clarification of that act in 2004, and the Uniform Code of Military Justice (UCMJ). However, diplomatic security contractors working for the State Department—Blackwater, DynCorp, and Triple Canopy—appear to fall between the cracks of the law in terms of oversight. Nevertheless, the State Department’s thousand-page contract for diplomatic security providers in Iraq goes into excruciating detail about what the guards can and cannot do, and under whose authority. Those details remain secret from the public. With the endorsement of Blackwater and IPOA, Rep. David Price (D-N.C.) attempted to fill these legal cracks by introducing the Transparency and Accountability in Security Contracting Act, which the House passed overwhelmingly in October 2007. In bringing his bill to the House floor, the congressman told his colleagues that Blackwater supported the legislation. As Serviam went to print, the Senate had yet to take action. Some groups, particularly trial lawyers who stand to make tens of millions of dollars from suing PMCs, argue that existing laws and regulations are grossly insufficient. It was a trial lawyer, David Cunningham, who filed an eight-figure lawsuit against Blackwater who prompted the House leadership to hold hearings on Blackwater for partisan political purposes. That same lawyer reportedly prepped Waxman’s staff on what questions to ask Prince and prepared much of the material for a report put out in the name of the majority party of the committee. Peter W. Singer of the Brookings Institution, a specialist on private contractors and a sharp critic of the industry in general and of Blackwater specifically, attended Waxman’s House Committee on Oversight and Government Reform hearing, with the Blackwater chief as the star witness. His observations cast doubt on the Congress’s ability to do its job in the first place. Writing on Wired magazine’s “Danger Room” blog, Singer observed, “The hearing revealed a fascinating, but also disturbing, lack of awareness in Congress about the private security industry. Members [of Congress] on both sides repeatedly struggled with the most basic facts and issues that surround the over 160,000-person contractor force in Iraq: Everything from the number and roles of contractors to their status and accountability, or lack thereof. It was quite clear that this was the first time that many had been forced to think much about the issue (even though the industry is over a decade old and the supplemental funds have been paying for the use of contractors in Iraq, year after year). This writer also observed the hearing and was soon under the impression that Waxman’s committee staff had prepared lawmakers more for a political joust than for a factual inquiry or discussion. Prince occasionally had to explain U.S. law to the lawmakers. When one congressman asked Prince why his company failed to detain one of its contractors who, in a drunken off-duty episode, shot to death a security guard of an Iraqi vice president, the Blackwater chief said that federal law forbids him from holding people against their will. Other lawmakers displayed a shallowness about private security and the overall subject of government contracting (see “Clueless Congressmen” sidebar, right). Lack of unity of command has taken its toll on the counter-insurgency in Iraq. The military and the U.S. Agency for International Development have worked extremely hard to win over Iraqis, only to find their efforts undermined by the aggressive tactics of the State Department’s private security guards. The State Department mandates these tactics in its contacts. Commanders have been powerless to do anything about it, though the situation is changing. Being employed by the State Department, the high-end PSCs who perform diplomatic security in Iraq are not under the U.S. military chain of command. This difference has caused difficulty for elements of the U.S. military, especially those directly involved with counterinsurgency operations. DynCorp and Triple Canopy don’t protect the “high-value targets” in the volatile Sunni Triangle as Blackwater does, and they are not under the same instructions or official requirements. In Baghdad and the rest of the Sunni Triangle, informed sources say, the State Department insists on caravans of armored Chevy Suburbans and other heavy sport utility vehicles, with all the traffic nightmares such caravans create. This makes discreet shuttling of VIPs impossible, especially with the requirement of helicopters for reconnaissance and other forms of air support. The reality of near-daily terrorist and insurgent attacks means that the convoys must travel fast through clogged roads, with aggressive security. Such demands completely conflict with another area of State Department responsibility, public diplomacy, to win support of the Iraqi population. And they collide with similar priorities of the counterinsurgency effort to gain Iraqi confidence and promote a sense of well-being. As of this writing, the military is seeking ways to change the situation, but that issue is for the government, not the security guards, to resolve. At the same time, the State Department PSCs work well with the military, volunteering to fly in supplies and ammunition, providing air cover to pinned-down troops, and plucking soldiers from difficult combat situations (see sidebar, “(Not) Reporting the Good News”). This shows a significant degree of interoperability and confidence with potential for improved integration. Taking steps to tighten up its own oversight of the diplomatic security mission in Iraq after the Waxman hearing, the State Department announced that it was going to install video cameras in the Blackwater vehicles and mandate that a State Department staffer travel with the guards at all times. That might have been a good move to show action, but it clouded one inconvenient fact: Blackwater had been asking for such third-party accountability procedures for a long time and got nowhere. “Absolutely,” said Prince. “We are tired of having it be our guy’s word against someone else in an incident. Let it be a third party.” He revealed that his company had asked the State Department for precisely those independent verification resources, in writing, a year and a half before the Nisoor Square incident. Partisan showboating hearings like those held by Waxman could inadvertently result in reduced industry oversight. Some companies, with client bases beyond the U.S., consider themselves global and move their headquarters to places like Dubai, UAE. When companies move offshore, they escape Congress’s ability to monitor their activities. Yet the government still needs their services and ends up contracting them anyway. In September, the U.S. Army Corps of Engineers issued a two-year, $475 million security and intelligence contract to a British firm, Aegis Defense Services. Aegis was already executing a three-year, $293 million deal in Iraq for the American military. Other British security firms competing for U.S. contracts in Iraq include ArmorGroup International, Control Risks, and Erinys. Contractors for the U.S. Agency for International Development in Iraq hire their own security detail, including the Unity Resource Group, the Australian-owned company based in Dubai. That’s a bad thing as far as the industry is concerned. In such a situation “there is less oversight, there is less accountability, there is less visibility into those operations,” Prince said. Congressman Jim Cooper (D-Tenn.) voiced concern that American PSCs train the military forces of foreign countries. In his comments he showed that he did not know that such training is officially approved by the U.S. State Department, and that a federal law—the Defense Trade Controls Act—explicitly regulates what U.S. companies can provide foreign countries in terms of training, goods, and services. When he objected to Blackwater training Azerbaijani forces, he did not know that the program was approved and funded by the State Department. Congressman Dennis Kucinich (D-Ohio) flubbed his staff-prepared questions, grilling Blackwater CEO Erik Prince about his government work but repeatedly confusing “no-bid” contracts with fixed prices from the federal General Services Administration (GSA) schedule. Prince had to explain to the congressional committee what the GSA schedule is and how it functions. Congressman John Tierney (D-Mass.) erroneously said in a staff-prepared statement that the number of private contractors in Iraq in effect allows the U.S. to “double” its military presence there. The congressman confused contractors of all types (including drivers, cooks, cleaning crews, maintenance and construction workers, and the like) with armed security guards. Of the estimated 160,000 contract workers in Iraq, only about 25,000 are armed, and of those, only about 2,000 are American. Several lawmakers, including Congressman Kucinich and Rep. Elijah Cummings (D-Md. ), showed no understanding of the word “mercenary,” a term that is clearly defined in U.S. and international law. They repeatedly and incorrectly called the diplomatic security provider a “mercenary” force.